Qandeel Baloch wasn't afraid of being in the spotlight — and she also wasn't afraid to use her fame to speak her mind. But Baloch's advocacy for women's rights in Pakistan came to a premature halt when she was allegedly killed by her brother, Muhammad Waseem, in what's being called an apparent "honor killing." As I scrolled through article after article, looking at Baloch's photos on social media and trying to figure out more details of her life, I wondered: what is an honor killing, exactly? I understood fragments of the concept, but I realized that I didn't know enough to fully understand the significance of Baloch's death. 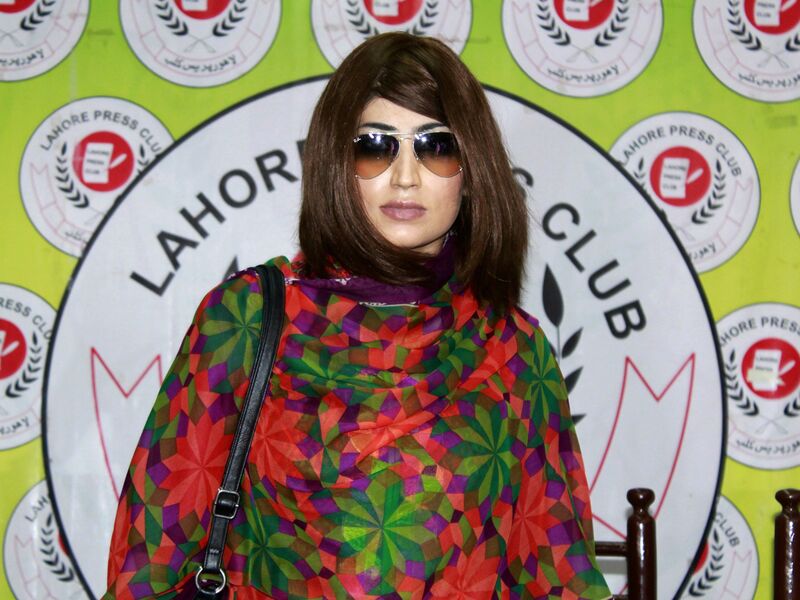 I was haunted by the face of the woman that Pakistani news outlets called Pakistan's Kim Kardashian, so I did some research to try to piece together the reasons why her brother would reportedly admit to having subdued and strangled her. Azhar Ikram, the police chief of Multan, the city where Baloch died, said that following investigations, "'honor' is the motive of murder," Reuters reports. According to The New York Times, honor killings occur when a family believes that a certain member (usually a woman) has sullied the family's reputation by acting in a socially, sexually, or religiously unacceptable way. The Honour Based Violence Awareness Network, or HBVA, says that "An ‘honour’ killing is the most extreme form of [honor based] violence which may be expressed as a final resort." According to Reuters, Baloch's brother allegedly said he killed her because she was so active on social media, where she often posted pictures of herself posing in revealing outfits — something highly irregular in the conservative country of Pakistan. "[T]here is little scriptural support for honour killings in any major religion, and it has been roundly condemned by several high status religious leaders." Baloch's father doesn't appear to condone his son's actions. He was the one who reported Baloch's death, and he's since opened a case against Waseem. His heart, at least, seems to be in the right place — and so are the hearts of thousands of Baloch's fans and supporters all over the world.